To audition the Grand Ladies of Country Music for your event, select one of the songs from the set list below the music player. To view Ava Barber singing Unclouded Day, stop the audio player above and click the play button in the video player below. For additional video clips of Leona Williams and Mary Lou Turner go to the center panel. Country music legends, Leona Williams, Ava Barber and Mary Lou Turner recently completed a three-year engagement for their show, Stars of The Grand Ole Opry at one of the theatres in Branson, Missouri. They are now planning to bring the music of that show to communities throughout the United States through their new show, Grand Ladies of Country Music. Audiences that saw or heard about their shows at The Grand Ole Opry or at the God & Country Theatre in Branson will now have the opportunity to be entertained in their own community by these country music legends singing the songs that made them famous. Leona moved to Nashville from Vienna, Missouri in the 1960’s where she began recording for several major record labels including Hickory Records, RCA, Polygram and MCA with such hits as Once More, Yes Ma'am, He Found Me In A Honky Tonk, Country Girl With Hot Pants On and Broadminded. During this time, she also made personal appearances at the Grand Ole Opry in Nashville. While playing upright bass and singing harmony for Loretta Lynn, she became close friends with Loretta who then recorded Leona's composition, Get What You Got and Go. Leona later teamed up with Merle Haggard for a top ten duet called The Bull and the Beaver and a duet album called Heart to Heart. While Leona and Merle were married, she wrote some of Merle’s biggest hits including You Take Me For Granted and Someday When Things Are Good. You can hear her harmony vocals on some of Merle's hits such as The Way I Am, The Roots Of My Raising, and Big City. After performing with Country Music legend Jean Shepard for three years in the Grand Ladies of Country show, she headlined the Fall Creek Opry Show in Branson, Missouri. After touring Ireland, she recorded her albums, Leona Williams-Honorary Texan and I Love You Because on the Heart of Texas Records label. In recognition of her "Grand" contributions to Country Music, Leona was inducted into the Country Music Association of Texas Hall of Fame in 1999, and she received the prestigious George D. Hay Award in 2002. 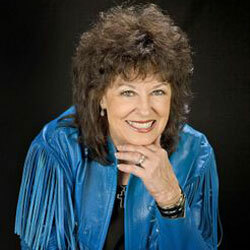 Recently, she was inducted into the Missouri Country Music Hall of Fame. Born in Hazard, Kentucky, Mary Lou Turner began her successful career as a Country Music Artist in 1974 with her first popular song, All That Keeps Me Going. She followed that success with several other songs that reached the top 50 on the U.S. Country Charts, including It's Different with You, Love It Away, and Cheatin' Overtime. She may be best known for the duets she sang with Bill Anderson that reached the top 25 on the U.S. Country Charts, including I'm Way Ahead of You and Where Are You Going, Billy Boy. 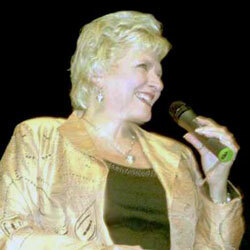 She and Bill Anderson released Sometimes in 1976 which reached Number 1 on the Country Charts. In that same year, she and Bill also released That's What Made Me Love You that reached number 7 on the country charts. 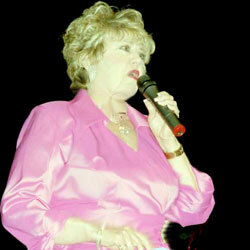 Mary Lou has performed in the theaters of Branson, Missouri for many years, starring with Boxcar Willie and Buck Trent, before joing the Grand Ladies of Country Music Show. Ava Barber began her professional career at age 10 in Knoxville, Tennessee. Lawrence Welk discovered Ava’s talent in 1973 and hired her to perform on The Lawrence Welk Show until its closing in 1982. During her years on the show, and afterwards, Ava has had two Top 20 singles on the country music charts; Waiting At The End Of Your Run and Bucket To The South; her albums have sold millions worldwide. She has also been on many popular television shows such as Nashville Now and Crook & Chase. To view Mary Lou Turner performing live at the Branson Music Factory, stop the audio player in the upper right corner of the page, and click on the "play" button in the video below on the left. To view Leona Williams performing You Take Me for Granted, stop the audio player in the upper right corner of the page, and click the "play" button in the video below on the right.